In today’s high-tech world, we now have the power to control and analyse our refrigerators, televisions, and security systems, all from our smartphones. So, it should come as no surprise that the same technology has been applied to fleet management with In Vehicle Monitoring Systems, or IVMS. With IVMS, fleet management data is right at your fingertips and will make your fleet safer, more cost-efficient, and easier to manage. Not only is the data available in real time, but it can also be stored and analysed later in order to better understand long-term trends. Let’s take a look at some of the ways IVMS can improve fleet management. According to Safe Work Australia, driving accidents are one of the leading causes of death and injury to Australian workers. IVMS can help reduce both accidents and death through a combination of in-vehicle alerts, maintenance and driver tracking, and better logistical planning. Not only are IVMS a valuable tool for fleet management, but they can be life-saving for workers as well. In-vehicle alerts can serve as an important safety tool by alerting the driver of hazardous road conditions and mechanical issues. Alerts can also be set to alarm when maximum speeds are exceeded, heavy or slow traffic is detected, or when abnormal acceleration occurs. IVMS also help facilitate better communication between drivers and fleet managers. Advanced GPS can be used to divert fleet vehicles around bad weather and heavy traffic. The system can even send emergency signals from the driver back to management. Well maintained vehicles are safer vehicles and IVMS can help maximise a fleet’s maintenance program. Since overall miles are tracked, alerts can be sent in advance and allow for regular maintenance to be scheduled in a way that best avoids costly route interruptions. IVMS can also detect more serious mechanical problems that need to be addressed immediately. One of the biggest costs of fleet ownership is fuel. By logging the miles and routes of each fleet vehicle, data-based decisions can be made when it comes to route planning. With increased route efficiency comes fewer miles, less wear and tear on vehicles, and reduced fuel costs. Not only can IVMS help analyse fleet vehicles, but they can also track individual drivers. Like the vehicles they drive, a driver’s performance can be optimised by limiting the number of miles they drive over a certain period of time. Certain drivers may perform better during the day than in the evening or at night. One of the keys to keeping drivers fresh is making sure they actually take their scheduled breaks. As with any technology, IVMS capabilities are constantly growing. IVMS have been adopting new consumer technologies as soon as they hit the marketplace. Current technological advances seem to be pushing the boundaries of what driverless vehicles can accomplish. As more companies begin to integrate driverless vehicles into their fleets, IVMS will become even more essential. When thinking about IVMS, it’s natural to consider their application in the large industrial fleets used by oil, gas, and other large trucking industries. However, they are just as useful in managing medium-sized commercial fleets such as taxis and delivery vehicles. They can also be used in the public sector by keeping trains and buses on time and by finding the fastest routes for ambulances. 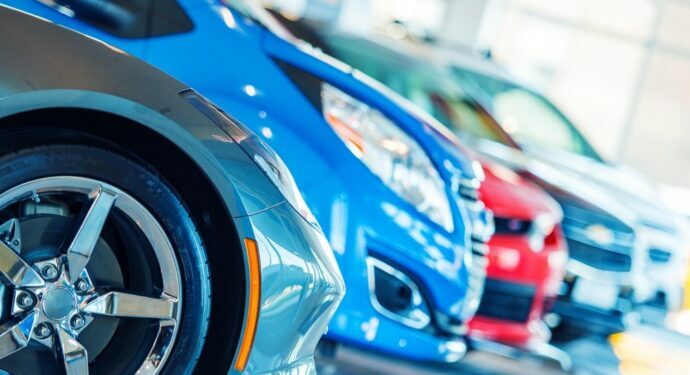 An In Vehicle Monitoring System is one of the most effective tools for any fleet manager looking to improve their fleet’s safety system, cost-effectiveness, and efficiency. By gathering and organising data, IVMS allow managers to make analytically driven decisions to best utilise their fleet’s vehicles and drivers. Easifleet offer tailored fleet management solutions for medium and large organisations across Australia. Get in touch to discuss a fleet management solution to suit your business.